A new shopping destination for cosmetics enthusiasts was recently added to the brand portfolio of Iulius Mall Cluj. 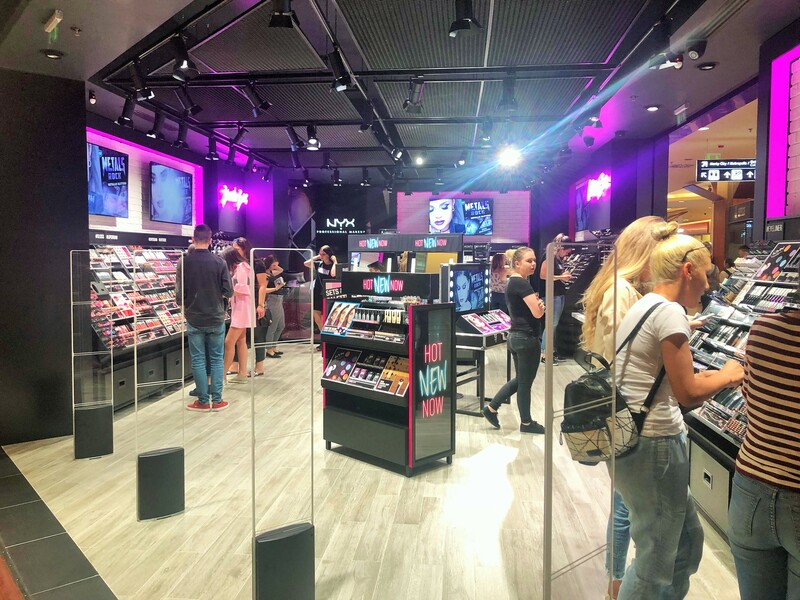 The NYX Professional Makeup American brand opened its store at the end of last week; the store offers a complete range of beauty products. NYX Professional Makeup leased approximately 110 sqm located on the 1st floor of Iulius Mall Cluj, in the immediate vicinity of Cinema City, and offers clients a complete and customized range of high quality beauty products. The American brand provides more than 2,000 professional products for make-up artists and cosmetics enthusiasts alike. Ranging from eyeshadows, primers, foundations, powders, blushes, highlighters, correctors, lip-glosses, liquid and classic lipsticks, mascara, false eyelashes, all the way to make-up brushes and other accessories, the NYX Professional Makeup products are a staple in the kits of professional make-up artists all over the world. The broad variety of colors and shades and particularly the excellent quality of the products are the definite calling card of NYX Professional Makeup and the reason why the brand garnered international appreciation. NYX Professional Makeup was created in 1999, in the heart of Los Angeles city. The brand has a worldwide presence both via specialty beauty stores and via its own locations. In Europe, the brand is available in more than 300 stores, including the Douglas perfumery network, Selfridges and Boots, where it is the top selling make-up brand. The store in Iulius Mall Cluj is the brand’s fifth one to open in Romania, following those in Bucharest and Constanța.